CLICK for 3 page flyer with details. CLICK to enlarge, print & share this 2 page flyer. Brevard County Parks and Recreation in the North Area is offering Parents Night Out one Friday of each month at all the community centers. Bring your kids to the community center for a night of fun to plan a date night or time to relax. The hours are from 6 p.m. to 10 p.m. and preregistration is required 2 days in advance. Fees are $12 per child and discounts are available for those who qualify at selected sites. Please contact the community center site near you for more information. Below is a list of North Area community center sites and contact information. 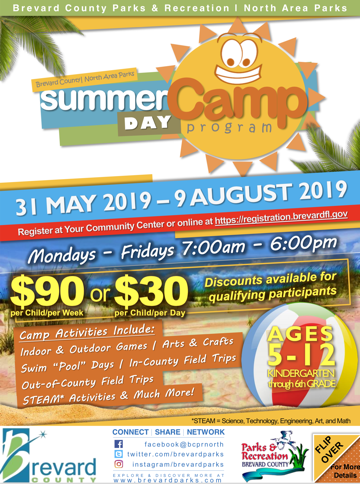 Brevard County Parks and Recreation North Area is offering an after school program called "Community Cares" at two community center sites, Port St. John Community Center and Sandrift Community Center. The program is Monday through Friday from 2:30 pm to 6 pm for grades Kindergarten through 6th grade. The program includes homework time, snacks and outdoor time for local children. Space is limited to a maximum enrollment of 13 children per center. Cost of the program is $45 per week per child. Call each site listed below for more information. FREE to attend — FREE Popcorn! Click here for our 6 Community Center Calendars with details on many more activities. Click for print & share calendars. Join the fun. 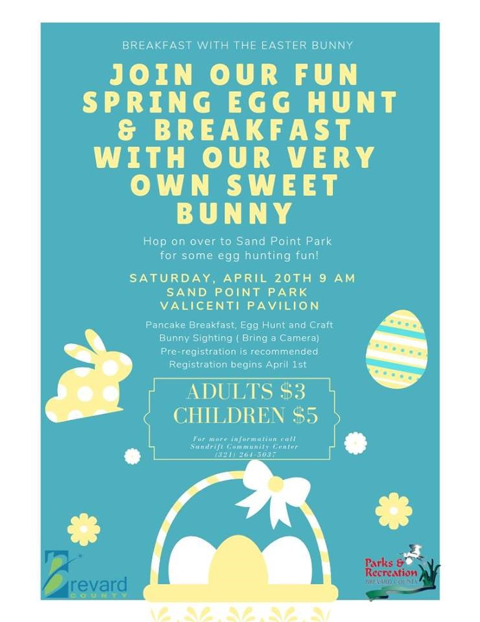 Bring your children and enjoy pancakes, take pictures, meet our Bunny and hunt for candy filled eggs in the park. Don't miss this spectacular spring event! Pre-registration is reccommended, so, hop on over to Sandrift Community Center to purchase early tickets. For more information call 321-264-5105. TITUSVILLE, Fla. — The North Brevard Commission on Parks and Recreation will hold its next monthly meeting in the Brevard Room at 518 South Palm Avenue in Titusville. The public is invited to attend. Meetings are schedued for the 2nd Thursday of the month at 5:00pm. The Brevard Room is located in a building on the north side of the parking lot behind the Brevard County Government Center-North. For questions call Jeff Davis at (321) 264-5105. If a person desires to appeal any decision made by this commission with respect to any matter considered at this meeting or hearing, such a person will need a record of this proceeding and that, for such purposes, such person may need to ensure that a verbatim record of this proceeding is made, at his/her own expense, which record includes testimony and evidence upon which any such appeal is to be based. Section 286.0105, Florida Statutes. In accordance with the Americans and Disabilities Act and Section 286.26, Florida Statutes, persons needing accommodations or an interpreter to participate in the proceeding should notice Parks and Recreation North Area no later than 48 hours prior to the meeting by contacting Jeff Davis at (321) 264-5105. 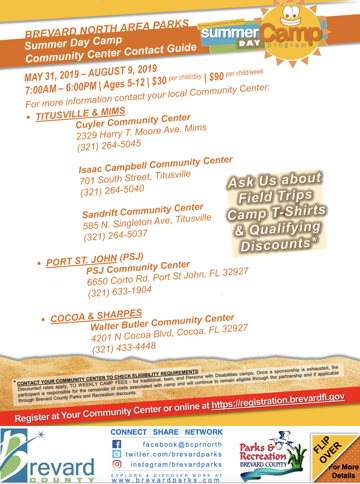 PORT St. JOHN, MIMS, TITUSVILLE, Fla. – Advertising opportunities are available and sponsors are being sought for Brevard County Parks and Recreation's free movie series in North Brevard. Movies are shown on a giant, 23-foot, outdoor movie screen beginning at dusk in a selected north area park. The events are for all ages and are free to attend. Patrons are encouraged to bring chairs, blankets, snacks, and drinks to enjoy during the movie. Concessions are available for purchase. Advertising opportunities are available as local sponsors will help make this a continual event. We will show a minimum of four movies per year. Sponsors will be advertised prior to the movie on the movie screen. 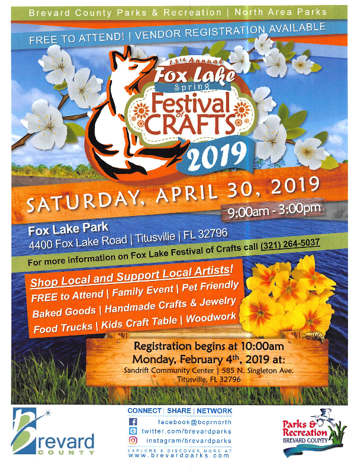 For more information on sponsorships and vending, please contact Roger Waddell by email at roger.waddell@brevardfl.gov or by phone at (321) 264-5105. 4055 Magoon Ave., Scottsmoor. A neighborhood gathering place since 1913, the Community Center was built with Community Development Block Grant funding in 1989 to house a gymnasium, activity room, Learning Center; with the Annex community room added in 1995. On the grounds are active sport facilities and a shaded area with a playground, benches, 3 pavilions with grills. An additional 1.45 acres of land was acquired in 2001 through the North Brevard Parks Referendum increasing the park to 13.31 acres. Facility Reservations: (321) 264-5037. A neighborhood gathering place since 1913, the Community Center was built with Community Development Block Grant funding in 1989 to house a gymnasium, activity room, Learning Center; with the Annex community room added in 1995. On the grounds are active sport facilities and a shaded area with a playground, benches, 3 pavilions with grills. An additional 1.45 acres of land was acquired in 2001 through the North Brevard Parks Referendum increasing the park to 13.31 acres. Cultural Center hours are Monday-Friday 10 a.m.-7p.m., Open Saturday & Sunday by group appointment only. Opened in April 2004, the 5,000-square-foot cultural center is located in the 11.93-acre Harry T. & Harriette V. Moore Memorial Park at 2180 Freedom Avenue in Mims, the site of the original Moore family home. On Christmas night 1951, the Moores were murdered for their involvement in the civil rights movement when a bomb exploded under their home. The park is dedicated to the celebration of their lives and to promoting awareness of their unique contributions to the early civil rights movement. This facility is managed by Brevard County Parks and Recreation, North Area. Call 321-264-6595 for more information on the park, cultural center, activities, and rentals. Chain of Lakes complex is located at 2300 Truman Scarborough Way. The complex is accessed from Jay Jay Road and Truman Scarborough Way, east from North U.S. Highway 1 in Titusville; north of East Florida State College (BCC). Located near Brevard Community College and the Indian River, this 92.14 acre regional park features wetlands and lakes with walking bridges connected to 3-miles of paved walking trails. Facilities include an observation tower, pavilions, 2 multi-use fields, 2 lighted soccer fields and concession, 3 lighted youth softball fields and concession, 4 lighted adult softball fields and concession, restrooms and parking. Athletic League Information: Parks and Recreation sponsored adult and youth leagues at the Chain of Lakes Park. Park open: 7 AM until dark. Located north of Sandrift Community Center, this 4.42-acre community park accommodates tennis and racquetball enthusiasts. Facilities include tennis courts and racquetball courts. Palm and hardwood trees shade the picnic area. 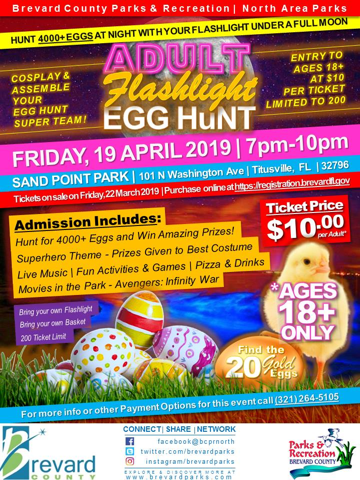 Sand Point Park is located at 101 N Washington Avenue, in Titusville. For more information on this park, rental reservations and other recreation activities in the Titusville area, please call (321) 264-5037. A 29.88-acre community river park on the Indian River. The Astronaut Memorial Plaza is located near the south side of the park. Dedicated on Flag Day, June 14, 1986 by City of Titusville, it commemorates the astronaut crews of the Apollo, the Challenger, and more recently, the Columbia Space Shuttle. A blacktop walkway with 0.66-mile stationed exercise trail meanders through open and shaded areas, and the shoreline invites fishing. Facilities include an athletic concession building, picnic tables, picnic shelters, small pavilions, grills, playground, benches, and restrooms. A large pavilion with kitchen and grills is located near the shoreline. TITUSVILLE, Fla. — Brevard County Parks and Recreation has opened an off-leash dog park at Marina Park, located at 501 Marina Road, Titusville. The enclosed off-leash dog park is open to the public from 7:30 a.m. to dusk. The public is encouraged to take their dogs to the park and enjoy either the small dog area (dogs less than 25 pounds) or the large dog area (dogs more than 25 pounds). Dogs are permitted only in the dog park areas. Animals are prohibited in the rest of Marina Park except for service animals. Marina Park is funded by North Brevard Recreation Special District Bond Referendum/Recreational Facilities dollars and is owned by the City of Titusville, operated and maintained by Brevard County Parks and Recreation Department's North Area Parks Operations. Contact Jeff Davis at (321) 264-5105 for further information. TITUSVILLE, Fla. — The Brevard County Parks and Recreation skate park and playground at Marina Park is located at 501 Marina Road, Titusville. The skate park and playground are open to the public from 7:30 a.m. to dusk, and the public is encouraged to come out and enjoy them. The skate park is free of charge and for skaters' use only; bicycle and BMX use is prohibited. The community center is open from 10 a.m. to 7 p.m. Monday through Thursday and Friday from 9 a.m. to 6 p.m. Weekend rental of the community center is available by reservation. It is home to adult dance groups, senior citizen activities and special interest classes for children and adults. Mondays, Wednesdays & Fridays, 10 a.m. to noon. Activities include cards, billiards, bingo, crafts, and fellowship. Participants wanting to do crafts should bring their own supplies. The coffee pot is always on. A popular regional park in North Brevard, this 31.57-acre scenic getaway is ideal for large community events. A paved road loops through the many palm and ornamental trees. Facilities include 5 family picnic shelters, grills, sand volleyball court, a fishing dock and a boat ramp (with access to South Lake from Fox Lake, and numerous channels to explore by canoe/kayak). 2 mid-sized pavilions and a large pavilion seating up to 1000 with kitchen and stage are available for rental. This 32.64-acre community park includes a gymnasium and community facility. The community facility serves groups such as Child Care Association, Boys & Girls Club of Brevard, Brevard Alzheimer's Foundation, Progressive Action Society, and Titusville Area Model Railroad Club (TAMRC). The gymnasium serves year-round as a site for youth and adult basketball, indoor active games and drop-in recreation. Outdoor fields are home for the North Brevard Bears Youth Football & Cheerleading Club. Parks Referendum Project field renovations include 2 football fields, lighting and concession. Click on Parks Referendum Project information. Ongoing activities in the Enchanted Forest include: Birdwatching, Photography, Toddler and Child Nature and Craft activities, Volunteer Guide Training, Lunch with Nature, Friends of the Enchanted Forest & Native Plant Society Meetings, Oyster Mat Making, Music Evenings, and more. 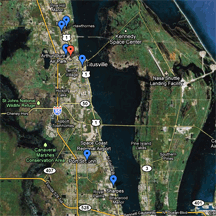 Tom Statham park is located at 7101 S US Highway 1, Titusville. For reservation information please call Rich & Sharon Curliss Rentals at 321-225-4951. Serving the Port St. John and Titusville communities, this 5.15-acre community river park is located in Bellwood on the Indian River Lagoon overlooking NASA's Kennedy Space Center. The scenic environment, landscaped with palm and hardwood trees, invites picnics, play and leisurely strolls along the paved walkway and river boardwalk. Scattered throughout the park are picnic shelters, a medium pavilion, grills, with sheltered picnic tables along the boardwalk. Additional facilities include a playground, drinking fountain, benches, and a community center where activities and rental events are regularly scheduled. The center is open Mondays-Thursdays from 10 a.m. to 8 p.m., Fridays from 10 a.m. to 7 p.m. Schedule is subject to change. For latest information about any of these programs call the Center at 633-1904. This 5.48-acre community park features a Community Center with a large activity room and stage popular for rentals and youth programs. The center also includes a recreation room, meeting rooms and kitchen. Outdoors, the playground and basketball court are neighborhood favorites. Fay Lake Wilderness Park is located at 6300 Fay Boulevard (at the west end of the boulevard), in Port St. John. This 192.7-acre community park offers access to a 27-acre fishing lake. Facilities include 2 playgrounds, 2 pavilions, fishing piers, dog park and launch area for small non-motorized boats. For more information on this park, rental reservations and other recreation activities in the Port St. John area, please call (321) 633-1904. The community center includes a gymnasium, showers, computer lab, game rooms, meeting rooms and kitchen. Athletic and recreational activities will be provided for all ages. Training on computer use for all ages and homework assistance for students will be provided in the computer lab. The community center is open Monday through Friday, 9 a.m. to 8 p.m., for scheduled recreational, athletic, and drop-in activities. The gymnasium, meeting rooms, and kitchen are available for rental on weekends and when not in conflict with scheduled County-sponsored activities. The center is also a hurricane shelter. This 207.14-acre partially wooded regional park is located off Canaveral Groves Boulevard and is home of Port St. John Little League, Port St. John Rockets Youth Football and Cheerleading, Port St. John Soccer Club, and Sharx Football. Facilities include soccer, Little League baseball, and football fields, restroom/concession buildings, a model airplane field near a small lake, and a go-kart track. Call (321) 264-5105 to register and for information on this and other athletic activities in North Brevard. 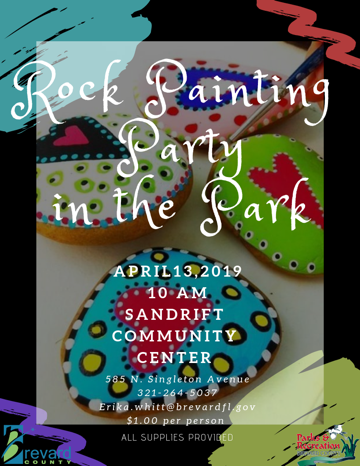 Activities are sponsored by Brevard County Parks and Recreation Department, North Area Park Operations. FOR MORE INFORMATION CALL (321) 264-5105 or send us an eMail. BACK to Parks & Rec. HomePage.